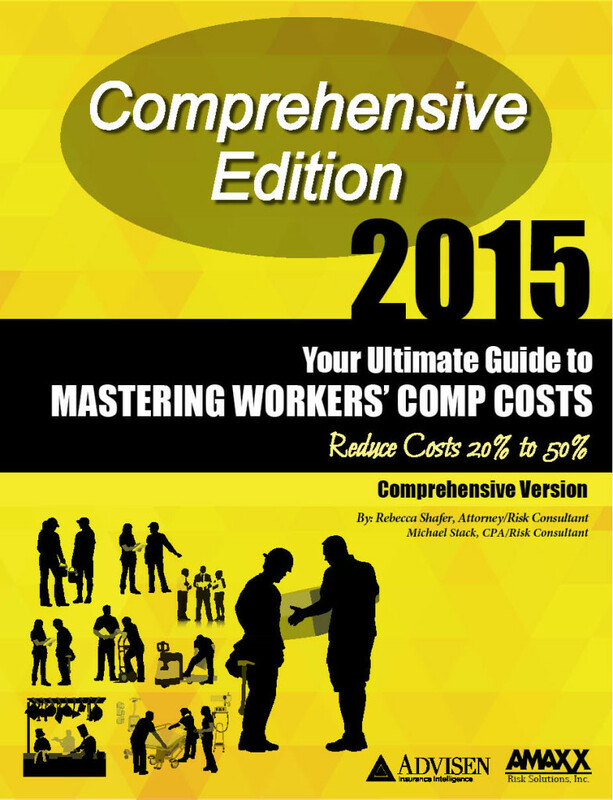 Save 20%-50% on Your Workers’ Compensation Costs! ► Assess your workers’ compensation program. ► Design the most cost-impacting strategy. ► Roll out comprehensive changes to your organization. ► Monitor and manage the program going forward. One book that covers how to assess your workers’ compensation program, design the most cost-impacting strategy, roll out comprehensive changes to your organization, and monitor and manage the program going forward. DISCLAIMER: Do not use this information without independent verification. All laws vary and change frequently. Consult your attorney, insurance broker/agent, or another professional you select about workers’ compensation or other issues. Do NOT rely on information contained on this website.